The recent developments at the South African Revenue Service (SARS) promise to cause a shake-up for many unsuspecting taxpayers. They are short on budget and the general perception is that there has been a lapse in taxpayer morale. 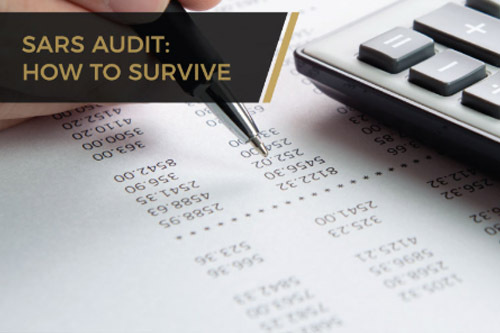 The SARS audit teams will undoubtedly start in earnest with the targeting of taxpayers to see how additional tax revenue, penalties and interest can be collected. As a firm that includes specialist tax attorneys, Tax Consulting SA has a front row seat in seeing the mistakes made by taxpayers who do not engage with SARS correctly. The price is either an unnecessary or drawn out tax audit process which puts your life on hold, even if you are squeaky clean; or if you are caught, a very large tax bill. Here are some of the most important aspects to consider. Your unpaid taxes are not your main problem. If you are caught not paying income taxes on R100 000 earned five years ago and your tax rate was 40%, the tax on this is R40 000 (R100 000 x 40%). However, SARS is also obligated to impose the applicable understatement penalty percentage in accordance with the table in section 223 of the Tax Administration Act (TAA), No 28 of 2011, which could be as much as 200%. Section 89(2) of the Income Tax Act (IT Act), No. 58 of 1962 computes interest at the prescribed annual rate (currently 10.25%), which means where SARS raises an additional tax assessment, you should expect an initial tax bill of R140 500 (R40 000 tax + R80 000 understatement penalty + R20 500 interest for 5 years), which will continue to increase until you have paid the outstanding tax. Importantly, a taxpayer may also face other types of penalties or interest and this is confirmed by the wording of section 213(1) of the TAA, resulting in possibly even a bigger tax bill, depending on the circumstances. An example is a percentage based penalty of 10%. The penalties imposed can sometimes be reduced or completely remitted, depending on the facts. You will always do better negotiating this upfront before the assessment is finalised and by correctly engaging with SARS. The Tax Court is the last place you want to argue the remission of penalties. There are many cases where the Tax Court has instead increased the penalty and cases where the penalty was waived are rare. Where SARS starts the audit incorrectly, such as sending an incorrect notice, you can stop the process in its tracks by addressing this through the correct legal procedure. SARS is obligated to keep you updated, under law, on the progress of an audit. Where they have started an audit and not kept you updated every 90 days, tax law gives the advantage to the taxpayer. We have used this many times to terminate an audit process. Know your rights; there are checks and balances which protect taxpayer rights. Should SARS want to conduct an audit, verification or inspection, section 42 of the TAA places the onus on them to ensure that they keep the taxpayer informed of the status of the audit while it is being conducted, and when it is finished. This requires SARS to provide a taxpayer with a report which sets out the stage of completion of the audit. Section 42 also requires that SARS inform the taxpayer, within a period of 21 business days, of the outcome of the audit or criminal investigation; including if the audit was inconclusive. In the outcome of the audit, SARS is also required to state the grounds for the proposed assessment it intends issuing against the taxpayer. SARS must share their findings with you before raising an additional tax assessment. Section 42 of the TAA compels them to give you their findings within 21 business days of the audit or criminal investigation being concluded. Luckily for the unsuspecting taxpayer, section 42 allows a taxpayer the opportunity to respond to SARS and to the facts or conclusions set out by SARS in the outcome of the audit. This is particularly useful where the findings are factually or legally incorrect and may even prevent an assessment being raised incorrectly. Also, even after the tax assessment has been raised, the taxpayer has extensive rights during the processes of asking for “reasons” for the assessment (Rule 6 of the Rules promulgated under section 103 of the TAA), “objection” (Rule 7), as well as the “appeal” and “alternative dispute resolution” processes (Rule 10 and Part C of the Rules, respectively). The best defence possible is that you come clean with your taxes before you are audited. Once the audit has started you are prevented from claiming the relief under section 227 of the TAA for coming clean. The key requirement is that you need to approach SARS correctly on your non-compliance and this always ensures a much better outcome under law, as well as allowing you to sleep better at night. ← Should tax implications influence your investment decisions?